Starting her career nearly two decades ago as a social worker, Betsy LeFae is now a renowned psychic, medium and intuitive coach in New York City. In my chat with her on Episode 102 of the Biddy Tarot Podcast, Betsy shares how she’s manifest wellbeing into her life through energetic cleansing. She’s a big believer in the mind-body connection, and you won’t want to miss the two techniques she shares in this episode to help you reconnect with your inner wisdom and set spiritual boundaries. 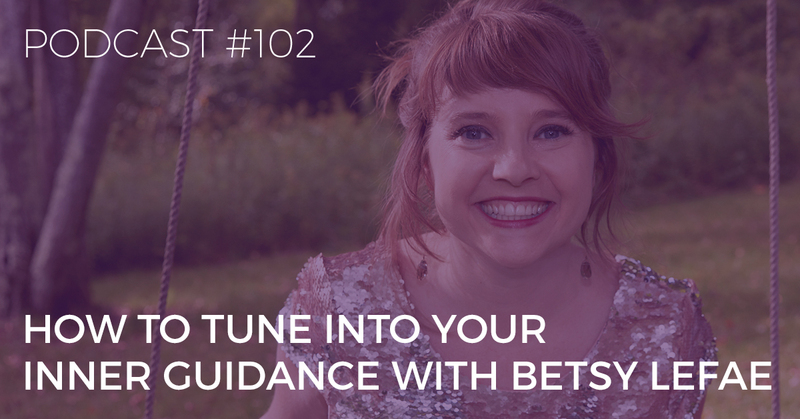 You’re listening to the Biddy Tarot Podcast, and this is Episode 102: How to Tune into Your Inner Guidance with Betsy LeFae. BRIGIT: Hello and welcome back to the Biddy Tarot Podcast. Today, I’m speaking with renowned psychic, medium and intuitive coach, Betsy LeFae all about how to tune into your inner guidance and how to hear your soul speaking to you through your body. Now, Betsy LeFae holds a B.A. in psychology, and she has two decades of experience in social work and intuitive consulting. She’s an awesome teacher in intuitive development, and she really teaches that our body is the tool through which we can learn to hear the messages from our intuition. 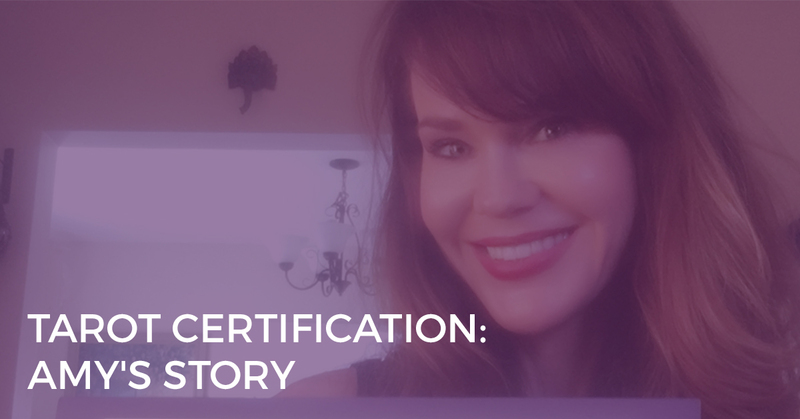 And as a facilitator of this mind-body connection, she teaches us around maintaining regular practices as an effective way to keep this channel clear. And Betsy’s message is that anyone can learn to listen to their inner guidance system and that doing so is essential in increasing abundance and self-love on the path to becoming your true self. Now, Betsy hasn’t just been hiding away in a corner. She’s been featured in Harper’s BAZAAR, Marie Claire, NPR, Vice, and Refinery29, and she was named one of the top psychic mediums in New York City by the Time Out Magazine for New York. I first came across Betsy when I was reading Ruby Warrington’s book, Material Girl in a Mystical World, and I was intrigued to find out more, so I reached out to Betsy over Instagram, and… Well, fast forward and I invited her onto the Biddy Tarot Podcast because she’s got some really cool techniques around connecting with your intuition and really knowing how to decide if it’s your intuition or your ego. Have a listen today because in our conversation, we have a great chat about intuition, in general, and how things are kind of flowing in that respect. But also, Betsy shares two of her techniques with us, and I think you’re really going to love them. I love the names. I’m going to not tell you until we hear it in the conversation. It’s really cool! Yeah, look, without further ado, I am going to welcome Betsy. Oh! Before I do, one thing! If you do want to have the show notes, and you want to find out more about Betsy, make sure you go to BiddyTarot.com/102. We also include the transcript for today’s call as well. All right, let me welcome Betsy LeFae. BRIGIT: Hello, Betsy! I am so excited to have you here on the Biddy Tarot Podcast. How are you going today? BETSY: Oh my gosh! I am so great. It is a thrill and honour to share this space with you. Thank you so much for having me. BRIGIT: Yay! For the folks who may not know about you, just tell me a little bit about your story and how you’ve gotten to where you are. I know you started off as a social worker. BRIGIT: How do you go from social worker to psychic? BETSY: Yes, that’s a very good question. Even the background before that is I grew up Catholic as well, so how do you go from growing up Catholic and a social worker to being a psychic medium? Well, I guess, if we were to say in a nutshell, from the time I was born, I was super, super, super sensitive. I had severe asthma and severe allergies—so much to the point where, in fifth and sixth grade, I was on so much medication that all of the medication interacted with each other, and I was deemed legally handicapped by the State of New York because I couldn’t function regularly in the school, so imagine taking one Benadryl and trying to go to school, and then imagine taking twelve different kinds of Benadryl and going to school. BETSY: So, it was really major. But I also, as I mentioned, grew up Catholic, but I also grew up very spiritual and, from a very young age, had a connection to God/Source/the Universe in a very palpable way. By the time I was 14, I was leading spiritual retreats for 18-year-olds, crossing my fingers, hoping they wouldn’t find out how old I was. Then I studied psychology in school. I went on to work in social work. You’ve probably heard this on the podcast before—typical healer, dark knight of the soul—my life was in the toilet. Just to catch you up to speed, the air could kill me with asthma. Peanuts could kill me in an instant; I would go into anaphylactic shock. The air could kill me. The food could kill. Then when I was 27 years old, I fell from the top of a flight of stairs off the side. I fell on my head on the concrete, suffered a concussion. That’s basically it, but they found a pre-existing condition, which was a hole in my spinal cord near my C2 vertebra, and the prognosis of that is that if I turn my head in the wrong direction, I could die! BRIGIT: My goodness. Living on the edge. BETSY: Yes! Exactly. It was either I could be Chicken Little, and the sky is falling, or I could get present, basically. That’s what I did, and I stumbled upon what’s called the Spiritualist Church, with a capital “S.” Some people may be familiar with that, and some people may not be. I always say, in short, the Spiritualist Church is the psychic medium church. They really believe that they’re proving life after death in that religion. It kind of just sparked from there. I did not think that I was quote “psychic” or “intuitive.” I did not. All I knew was Sylvia Browne, and I was spooked out by her. She was here in the States on a talk show on Wednesdays, and she was really creepy. She spoke to dead people. I actually got a mentor and started studying and really just excelled a great deal. Within a year and a half of starting this adult spiritual journey of discovering and exercising my intuitive gifts, I got off all of my medication, and my lung capacity increased by 15% to 20%. I said to him, “Yes, of course,” and that’s kind of my advice to people—marry the Eastern and the Western. Marry the spiritual and the physical together. But I also thought, “If you’re not surprised, why didn’t you prescribe that to me?” We know the undercurrent as to why it wasn’t prescribed. We don’t need to get into that. Yeah, I thought that I was going to maintain social work my whole life and just kind of do readings on the side, but that’s what the Universe prompted me to do. I retired from social work in 2010, and I’ve been fully self-employed as an intuitive since then, and I offer one-hour, in-depth readings, where you basically don’t talk at all. I’m really just channelling at you and getting to the root cause and getting how you can get over that, channelling exercises to overcome those hurdles. Now I’m in a deep transition into more of teaching and coaching. I really am into helping people do it themselves. I feel like that is the most empowerment. That’s it in a nutshell. BRIGIT: Yeah, and I’m kind of curious: did you have any resistance to that transition, that deeper spiritual transition that was going on for you? Or did you find yourself completely in the flow and saying “Yes”? 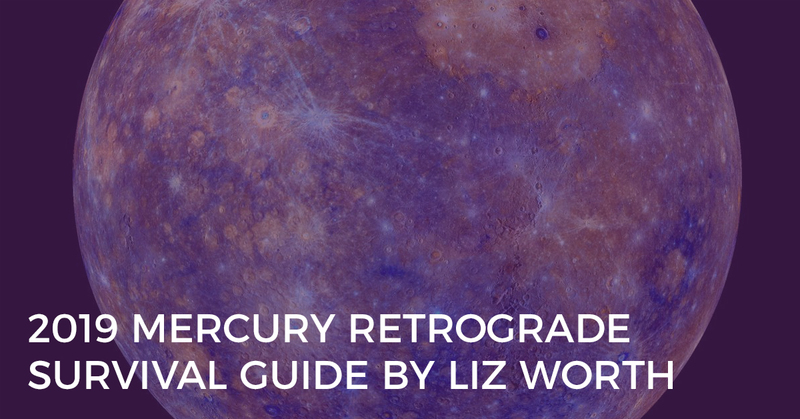 BETSY: You know, I had a deep resistance to my Saturn return—27, 28, 29, 30. I didn’t retire until I was 31. I didn’t have resistance to the intuitive work itself. That really flowed. I put myself through school. I went to seminary school for a year to really have that deep dive. But I had the resistance to leaving what my ego perceived as the safety of the social work—the 401K, the health insurance. I mean, my parents—God bless them, for sure—they drilled into my head that I would die without health insurance. Talk about root chakra issues. That’s the stuff that I had to get over to launch into this. When I was a social worker, people’s jaws dropped because I was living in Brooklyn. I was the only families-of-homicide social worker in Brooklyn, and I worked also with survivors of domestic violence. Here I was, learning how to connect with people who have passed, spirits, and doing really well at that, excelling at it. And in my day job, I would be counselling people who lost their loved ones to murder, to homicide. Their deceased loved one would walk in with them. I’m very strict on boundaries, and I would have a dual conversation. I would be talking to the living people, counselling them, and silently, I would be talking to the deceased loved one and say, “Yes, you got them to a medium, but I’m not wearing my medium hat right now. They don’t even know I’m a medium! I can’t convey information to them; I can energetically.” So, I would be that energetic channel, but I just felt like I was funnelling a river through a little straw. The pain it took to stay closed as that rosebud was more painful than the pain it took to open and blossom. Taking that leap was painful when I quit. I was in a situational depression because I was an entrepreneur and didn’t realise that I wasn’t just a psychic medium, you know? So, I was resistant to that, but the actual work itself? No, not all. It just comes so naturally to me. I mean, that’s why I was sick growing up because I was just absorbing everyone else’s stuff, and that’s one of my main tools that every gets is how to clear and protect your energy, and it’s so important. BETSY: I wouldn’t be able to live my life without that. I said, “I wouldn’t either!” You know? I want the safety and security that our egos cling to, and a friend of mine said the other day, “If it has a paycheque, and it has health insurance and this and that, but you are exhausted, and you are not appreciated, and you are not fulfilled, it is not a good job.” Let’s redefine what “good” is. It’s not a good job. BRIGIT: I actually find having my own business is offering a lot more safety and security—that’s for sure—because I’m in control of my destiny. Anyway, side note! BRIGIT: But see, your current website is NewYorkCityPsychicMedium.com. BETSY: Spell it out because if you abbreviate, you’ll get someone else’s stuff, so it’s all spelled out. BRIGIT: I’m curious, because you’ve positioned yourself, obviously, with that URL as a psychic and psychic medium. BRIGIT: Tell me a little bit more because we were talking about this before the call. Tell me more about what that means to you, and as you’re starting to transition into a new phase of your being, tell me a little bit more about that. BETSY: Sure, sure. Well, one of the things, as an educator, that I would like to share with people is I really use the words “intuitive” and “psychic” interchangeably. They come from the same place. They, essentially, in my diction, mean the same thing. But words like “psychic” and “séance” and “medium”? First of all, they creep people out. They scare people. They scared me before! People get the wrong connotation. Moving towards more “intuitive” I feel like is more open, but I think my ego, personally, didn’t feel like “intuitive” was special and specific enough, so I needed to stick with what people knew and understood. But as I went down that flow of “psychic…” God bless my clients because I love them—they are a reflection of me, and they serve me well, and I serve them—but the people that I’m getting right now are people who get the idea. “I need a psychic, and I’m going to Google someone who lives in New York City.” That’s all fine and well, but I’m a very different brand, and I do a lot of work on my website really describing to people what they’re going to get, why they would want to work with me, and there’s a lot of talk with Tarot, with readings of any kind, that they’re sacred mirrors and that we have free will, nothing has faded. That’s what I have on the front page. If you go to NewYorkCityPsychic.com, and you scroll down, it talks about how to ask questions in an empowering way, using the mindset, the frame that you have control over what’s happening. 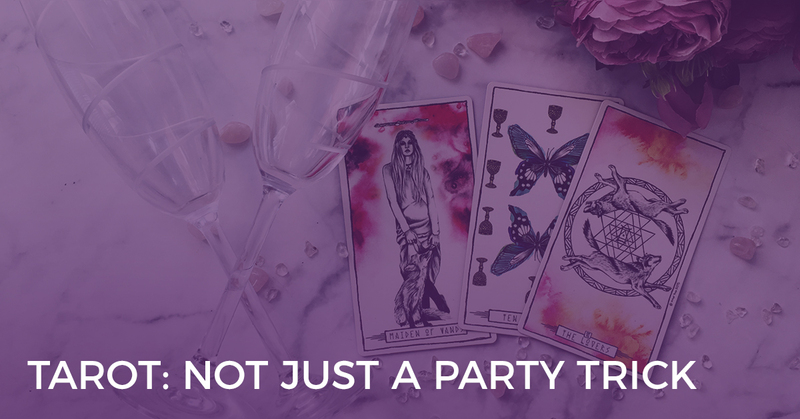 I’ve just found—in terms of clients and in terms of what’s in the collective of what people believe psychics are and what they should do—that I’m out of alignment with that old-school way. So, moving towards more of a title of “intuitive” is great, but like we were chatting with before the call, I just feel like I’m sitting on a mountain of information of how to function in the world if you’re sensitive, how to function in the world with being empathic, how to have empowering relationships, how not to over-give. I see repeating patterns with my coaching clients that I didn’t even know I could help people with, but how to negotiate a pay raise at work! Apparently, I’m really good at that! All these things of really—just to sort of distil it—undoing the world of patriarchy, not swinging all the way over into “I’m going to cut you” feminism but somewhere in the centre of humanism. Not to say that feminism is not humanism. Let’s face it—that’s a loaded topic. I would consider myself a feminist but in the terms of we all need to be equal. We all get to be equal and different. BETSY: So, I’m really into redefining words, redefining concepts, re-educating, using different words, really thinking hard about “How do I really feel, despite what other people are saying?” And I think together, it’s people like you and I and everyone who listens to this and everyone who is doing their own journey of sharing with people… “I don’t see things in that way anymore. This is the new way of doing it,” you know? And it’s really big these days. BRIGIT: Yep. And I find words are getting so loaded. BRIGIT: As in if you say to someone the word “psychic,” Person A will have one set of expectations of what a psychic does, and Person B will have completely different ideas. BRIGIT: And yet, what you as the psychic or intuitive or reader offer may be completely different to all of those. BRIGIT: So, sometimes it’s better just to communicate in terms of what you actually do and how you help and serve versus having a title. BRIGIT: Yep, absolutely. It really comes back into that empowerment piece. BRIGIT: Connecting with that inner wisdom as well versus relying on someone else just to tell you what to do or what will happen. BRIGIT: So, I wanted to shift gears a little bit. You mentioned earlier that you’re transitioning more into a teaching role. I’d love to hear perhaps one or two of your favourite techniques for connecting with your intuition. BETSY: Oh yes, I would love to share. I mean, this is my passion. I’ll share with your audience the “Clear and Protect” that I mentioned. It’s one of the main things. There are two things I’ll share: “Clear and Protect” and the “Stop, Drop and Roll.” They’re both on my website on the blog. You can get free guided meditations. “Clear and Protect is so important because I’m 37, and if I have not cleared and protected, I’m basically walking around like a 37-year-old sponge. Really, really dirty and can’t clean up anything, just leaving everyone’s messes everywhere. In order to really tune into our own stuff, we have to discern what is our emotions and what is other people’s. Another word or another phrase for intuition is “emotional guidance system.” If you are upset all the time because of what’s happening in politics, what’s happening to your mother, what’s happening to your boyfriend, wife or whatever, and you’re absorbing all of that that, and you’re empathising with them, you can’t listen to your own inner guidance because you don’t know what’s your emotions and what’s not, and that’s where we get irritable. We can get overemotional. We can jump to quick conclusions. We can be anxious, aloof, ungrounded, spiritual bypassing. The clearing and protecting is great, and a lot of people have their own way of doing, and they come to it naturally. My mum was a social worker, and she had this metaphorical green tent that she would zip around her. I’ve heard of a white igloo. In a worst-case scenario, let’s say your mum is faced with a terminal illness. Well, she is facing death; you are not. You’re facing your mother’s death, possibly, but that’s a different kind of mourning, grief, loss, digesting than your actual facing with mortality. That’s number one. BRIGIT: I think that’s really important both personally, because we’re all in relationship with various people, and then also as a reader, whether you’re just reading for others, or you’re doing professional readings. BRIGIT: I know that’s something, particularly for the folks who have just started doing readings for others. It’s beautiful to see. They’re putting all their soul and their heart into these readings. They’re connecting intuitively, and then they end that reading, and they go, “Oh my gosh, I’m exhausted, and I’ve got all this stuff stuck on me.” That technique you’ve shared, that “Clear and Protect,” is so incredibly important to get into a good practice—good spiritual hygiene as a reader and personally as well. BETSY: Yes! And a lot of the skills that I learned, I learned as a social worker. You can’t take your work home with you. You can’t take your clients home with you. They go back to… They choose sometimes to go back into difficult situations, and they have their free will to do it. Very, very big. You know, I’m really proud. I told you I came back from a background where I was very, very ill, and I literally have not taken any Western medicine, except for this one hand cream occasionally, for five years. I took antibiotics for UTI, and I have this one hand cream that I take occasionally, and this is coming from someone who had to take twelve different pills when she was age 10. I really do make sure that I walk the talk. BETSY: The other tool “Stop, Drop and Roll”, like I said, is how to tell the difference between your ego and your intuition. My main teaching is that your intuition speaks to you through your physical body, and it’s the only tool that you’re given when you were born. It’s unique—no one else has your body. And no matter where you go, you have your body, right? With the “Stop, Drop and Roll,” you take something relatively inconsequential, like the examples I just named, and what you do is you remove yourself from any chaotic environment, somewhere you can close your eyes and take some deep breaths. You randomly assign one Scenario A and one Scenario B. You take Scenario A. Let’s say it’s me going to the restaurant. “Should I eat the salmon or the chicken?” Scenario A is the salmon. I’m just sitting in my bedroom, but I just go into my imagination, and I allow my imagination to run the movie of me going into the restaurant and ordering the salmon and eating it and feeling it in my mouth—all five, maybe even six emotional senses. You allow yourself to play that movie, and once you’re in it, you taste things, you smell things. Once you’re in this movie that you’ve created in your imagination, you do a body scan, and you just feel, from head to toe, how your body feels. You’re looking for anything that feels expansive, that feels open, that feels joyous, happy, free, versus anything that’s constricted or contracted as in tight, as in uncomfortable, as in painful. So, once you’ve done that with Scenario A, you just take some deep breaths, come back to neutral. Maybe picture some white light, or you’re erasing the blackboard, and you do the same thing with Scenario B. All of the details, all of the sensations, and then you do a body scan. If you feel expansive in one and contracted in the other, the one that you feel expansive in is the one that your higher self is pointing you in the direction of. Where people get tripped up is they won’t take the time to actually drop into their body. They will just think about it. Thinking and feeling are two extraordinarily important… It’s an important distinction to make, thinking and feeling. Anyone listening to this podcast I’m sure is a professional at imagining the worst-case scenario and feeling what that feels like in their body! Now, what if someone steals? Or what if someone breaks in? What if I get into a car accident? You know what that feels like in your body, and you’ve just done the same thing. You’ve just imagined the situation and your body has reacted to it. One of the things I love about this is you only need to stop and drop. You don’t actually need to roll with what your intuition says because if you do this enough times as a practice, eventually, if you don’t follow your intuition, you’re going to hit your forehead and be like, “I should have followed my intuition,” because it’s just going to show you the way. BETSY: It doesn’t show you the way 100% of the time, but at least 50% or 60% of the time, you’re going to be like, “Oh God! I should have listened to my intuition.” Enough times, you’re going to start to follow your intuition. BRIGIT: Yep. I think that’s great advice, starting with the small stuff. Sometimes I think we can write that off and go, “I’m being frivolous. This is my spiritual gift. I need to be doing good things with it. That’s a great place to practice. BRIGIT: I’m curious if… Let’s say you’re considering a trip to Vietnam, and maybe you had some deep fear about travel. Maybe you haven’t travelled outside of your country, and so there’s a lot of fear of the unknown. Now, when you’re playing it out in your mind, will fear override intuition? It might be best for your higher self in the long run that you do go to Vietnam, but your fear might come through and go, “Oh, yuck.” How does that work? BETSY: That’s such a rich question. I’m so glad you asked it. The key to your question lies between the difference between thinking and feeling, right? So, when you’re straight-up thinking about travelling, you will be in fear, but when you allow yourself the space to sit and feel what it feels like to be in that fertile land, to be in the sunshine, to see the smiling faces. Maybe you’re afraid to travel, but you’re not afraid of mopeds, right? So, you see yourself on the moped, through the rice paddies or whatever. When you’re in that actual experience, your body will feel different than if you’re just thinking of the flight over, and you’re afraid of airplanes. The reason why it’s such a wonderful question is because intuition is very often counter-logical. What that means is that your intuition will oftentimes prompt you to do the thing that makes you afraid. It will tell you to quit your social work job before you have clients that will allow you to pay your bills. Another real-life example from me is it will tell you to move from Bed-Stuy, Brooklyn, where you’re paying $900 a month, and it will tell you to move to Williamsburg, Brooklyn, where you’re going to pay $2,000 a month when you haven’t even really been able to afford $900 a month. Nobody in their right mind… Friends and family are going to say you’re crazy! But I did just that, and my income just doubled just by moving. I wasn’t seeing anyone in my house, and I wasn’t going to the bars. I wasn’t eating even any gluten, and my favourite bar and favourite Italian restaurant were on the street I moved to, but I gluten- and alcohol-free at the time! When I got the prompt… These are all New York prices, so if your jaw is dropping… This is also four years ago, too, so I’m sure the prices are different. I got another prompt to move from a $2,000 place to a $3600-a-month one-bedroom in Williamsburg. My boyfriend (now husband) was super intimidated by it, and I just wasn’t because I had done it already, you know? The income provided, and that’s exactly what happened. When I moved to that place, I just had more coaching clients than I knew what to do with. I had a coaching client fly my boyfriend and I to the Dominican Republic for an all-expenses week vacation for my birthday. I mean, I levelled up! I just took that leap that my intuition was saying, but before I took that leap, my bank account, the numbers and my clients? They were not showing those numbers at all. BETSY: Yeah, I mean, I do it for a living, so of course, I’m going to play it big eventually, you know? BRIGIT: We had looked at so many, like, “Is this it? Is this it?” My brain was going, “Come on! This has got to be it!” And then, finally, we walk into the house, and I was like, “Oh my God! I’m going to start crying!” I don’t cry, right? BRIGIT: And then, I kid you not—our mortgage was paid off within months of moving in. BETSY: Wow! Oh my gosh! BRIGIT: We expected it to be years before we would pay it off, and it’s literally been months—just over the moon. Like you said, brain always goes, “Oh, don’t do that! That’s a bit risky.” But if your intuition is saying yes, you trust it, and the rest just paves it for you. Do you know what I mean? BETSY: Yes, and it’s about really… I mentioned before Abraham-Hicks says, “It’s never crowded on the leading edge.” The thing I have to say about your intuition is the hardest thing about it is you won’t get outside validation. If your intuition was saying what was logical, we wouldn’t have intuition! I’m over-the-moon happy about your story with the house. It’s just so good for me to hear right now because I feel like I’m ready for this cosmic shift, this quantum leap. BRIGIT: Yes, awesome, awesome. Well, Betsy, I could talk to you forever, but we need to wrap things up. BRIGIT: I just wanted to end with a broad question. What would be your one piece of advice to folks who are probably starting this intuitive journey? I mean, we started when we were born, but coming into more of a conscious awareness around intuition? BETSY: I feel, honestly, the most important thing that people can do is be compassionate to themselves. Self-compassion, really being kind to yourself. If you are not kind to yourself, none of this is going to work. There is a blog post, “Are You Being Too Hard on Yourself?” and it’s the four steps to self-compassion. You need to get educated on the difference between compassion and empathy. If you’re maximising out with empathy, you’re not doing yourself a favour. Self-care is number one. My number one job is being embodied. If I’m embodied, then I can do this. I can help my clients. If I am not, I am no good to anyone else. BETSY: So, take care of yourself first and foremost. BRIGIT: Yep, awesome. Excellent. Well, thank you, Betsy. Let us know where we can find out more about you and your work. Until then, if you want to get to me, if you want a reading, if you’re interested in coaching or any of the classes that I’m going to be offering online, just hop on those resources, and you’ll be directed to the latest and greatest. BRIGIT: Fabulous. And we’ll also include that link on the show notes page, which is over at BiddyTarot.com/102, and you’ll get the transcript of today’s call and all sorts of goodness. In fact, Betsy, if things do change, and you do have a new website, let us know before, and we’ll make sure that’s published to that page as well, so it’s there and ready to go. BETSY: Great! I’ll cross my fingers because it’s a new baby coming out! BRIGIT: Awesome. Well, it’s been an absolute joy and pleasure to chat with you today. Thank you so much for your insights. BETSY: Thank you so much! Yes, and to all the viewers, thank you for listening! I am 100% behind you. BRIGIT: Aw, thank you. I appreciate you very much. I can’t wait to connect with you again next time. For now, have an awesome week, and we’ll chat soon all about Tarot. Bye for now!